We test our quilts the same way we test our sleeping bags, by sending them to the testing lab at Kansas State University. They use the same test setup defined by the sleeping bag temperature rating standard to test our quilts, using a mannequin dressed in long underwear and lying on a sleeping pad with an R-value=4. Since quilts have mummy hoods, we put an insulated hood on the manikin, because we assume that users will wear an insulated hat or hood when they sleep with a quilt. We’ve found that wearing a down hood will raise a quilt’s temperature rating by 4 degrees, while wearing a fleece hat raises it by 2 degrees. 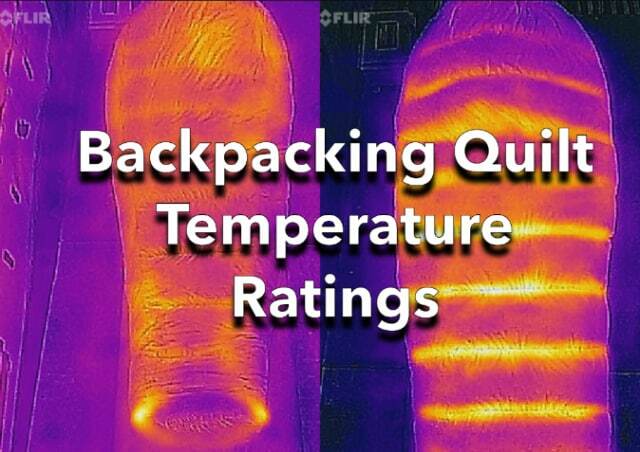 The post Backpacking Quilt Temperature Ratings appeared first on Section Hikers Backpacking Blog.